Picture it. The Queen is about to celebrate her Jubilee, there are high levels of unemployment and homelessness, London’s police are twitchy and inclined to violence towards demonstrators, and the artistic community has a strong left-wards bias although very few of them actually do anything. Sound familiar? 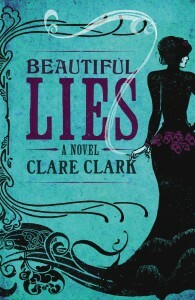 Yes, it’s 1887 and historian Clare Clark has returned to the nineteenth century for her fourth novel Beautiful Lies (her first, the Orange long-listed The Great Stink, was set in 1855 while Savage Lands and The Nature of Monsters have early eighteenth-century time frames). Beautiful Lies, which moves between England, Scotland, France and Spain, introduces Maria Isabel Constanza de la Flamandière, known as Maribel to her friends and Bo to her husband. Maribel is present on every page of the book and we see the world exclusively through her eyes. Beautiful, capricious, fun-loving, self-indulgent and diva-esque, she is a woman governed by her emotions who nonetheless is dismissive of irrationality in others. Given these characteristics, the most surprising thing about her is that she is happily married and loves her husband. Romping through life, juggling friendships, family concerns, financial worries and the ever-present dread of a scandal, Maribel is too unconventional to worry about respectability for herself, but her beloved husband is an MP with a mission, so for his sake she guards her secrets, and his. He is on the side of the early socialists, and risks his parliamentary career when his passionate commitment takes him too far and he ends up in prison. Although the couple live well they also carry the burden of the debts incurred by his father. To complicate matters Maribel finds herself strangely drawn to the charismatic newspaperman Webster, (loosely based on the real life editor W.T. Stead). Far too late she realizes how dangerous he is. As the title suggests, lies and their attendant secrets are a running theme throughout the novel. Maribel has more secrets than you can shake a stick at and she’s not the only one. With so many hares set running in the plot, inevitably some of them will turn out to be red herrings. Expectations are raised, some are satisfied, some are simply left by the wayside. This extreme focus on one character and her journey means the book’s success or failure depends entirely on the reader’s response to that character. Maribel is appealing in many ways, but also foolish and flighty. More importantly, her journey is more sightseeing than personal discovery. By the end she has resolved one problem and accepted defeat on another, but in essence she hasn’t been changed by the events of the novel or learnt very much. If the characterization is a little superficial then so to is the setting. 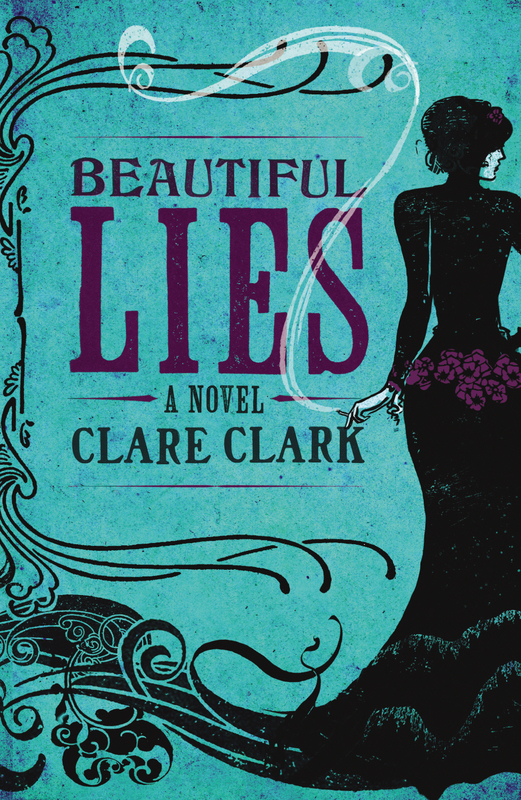 An historical novel seems meaningful when it relates in some way to the present, but Beautiful Lies is just a story set in the past. This is very much Victorian-lite, with famous names (Oscar Wilde, William Morris) dropped in to create the right atmosphere, and other historical details put in place as window dressing. Perhaps this is why this reader had the mental leisure to wonder about anachronisms. Could an aristocratic MP and his socialite wife really manage with just one servant in their London flat? Was the poetry of libidinous aetheistical Shelley really taught in respectable mid-century schoolrooms? Would an 1887 exhibition of photographs really have caused such a stir when the first such exhibition was back in 1854? No doubt in Elizabeth II’s Diamond Jubilee year there is much we can learn from the parallels and differences compared with Victoria’s Golden Jubilee year, but Beautiful Lies is not about that. It is a competently written soap opera, and should be enjoyed as such.